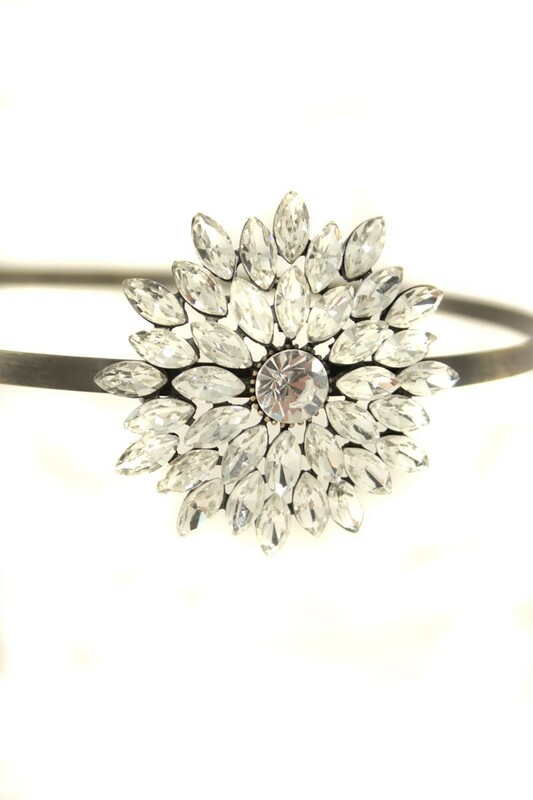 This vintage flapper headband has a floral, off centre crystal design measuring 6cm. It is on a metal plated band which has a worn, antique effect. This art deco hairband is made from plated metal with an off centre peacock feather design. The feather is embellished with clear and silver sparkling crystals and measures approximately 8cm in length.